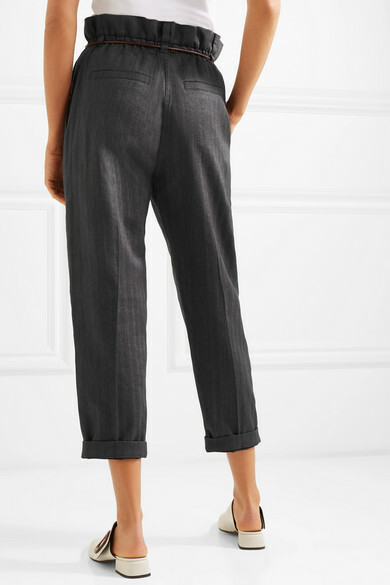 These pants are quintessentially Brunello Cucinelli. 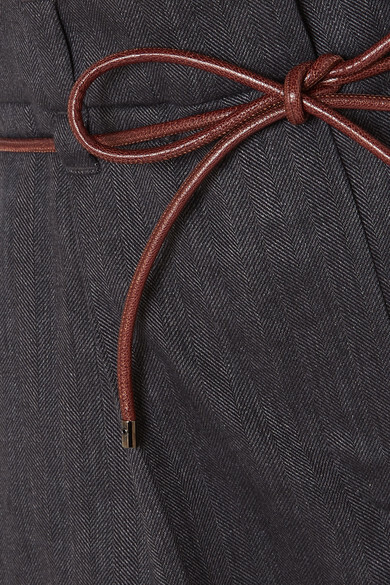 They've been tailored at his workshop in the Italian village of Solomeo from a breathable cotton-blend that's finely woven with a classic herringbone pattern. 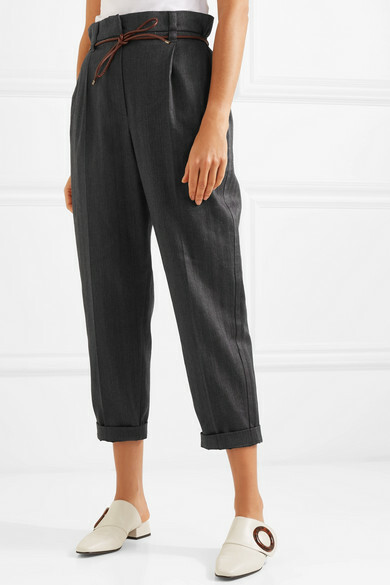 Cut in a tapered cropped shape with turned-up cuffs and neatly pressed creases, this pair is finished with a supple brown leather belt that creates a paper bag-effect when knotted at the oversized waist. 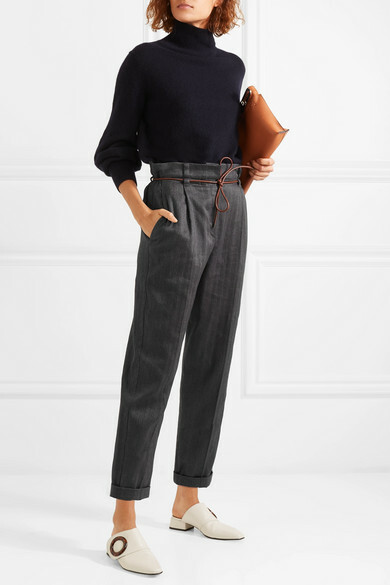 Shown here with: Vince Sweater, Loewe Shoulder bag, BOYY Mules.